P&O will commemorate 175 years at Southampton next week. We trace the history of the world's oldest cruise line and detail the celebrations. 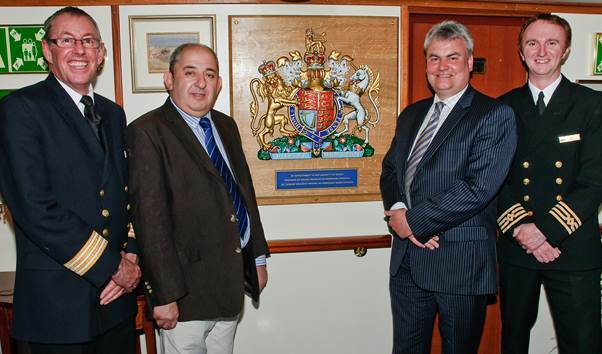 Hebridean has become the first ever cruise line to be honoured with the "By Royal Appoinment" distinction, Her Majesty The Queen having twice to date chartered Hebridean Princess for a family holiday around the Scottish islands. Ken Brookes is the distinguished former President of the Chartered Institute of Journalists and a ‘sometimes’ contributor to BTN. He is a cruise fan too. In this month's cruising supplement to BTN he discusses the Norovirus problem and the exemplary way a major cruise line dealt with the problem. He says that the organisation is worthy of the highest praise, but has omitted its name because some folk might treat the whole story, with distorted logic, in undeservedly derogatory fashion. The tabloid newspapers are sadly ruthless when it comes to so-called news stories. On Tuesday week (3 July), to celebrate its 175th anniversary, P&O planners will achieve something that experts had thought impossible, the assembly of all its seven current ships at their home port of Southampton on a single day. Finding seven berths was just about possible, but other regulars had to be persuaded to plan their itineraries to suit (and that includes sister company Princess), and extra passenger handling staff brought in. And the arrival and departure schedules sorted. Created in 1837 as The Peninsular and Oriental Steam Navigation Company, P&O first introduced passenger services in 1844, advertising sea tours to destinations such as Gibraltar, Malta and Athens, sailing from Southampton. Nothing changes except for the comfort and the time at sea. These voyages were the first of their kind. 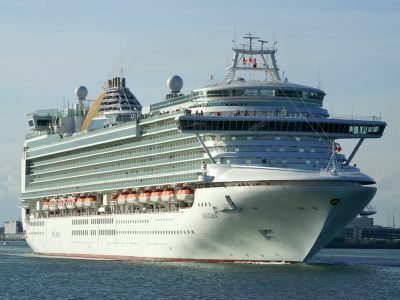 There is no argument that P&O is the world’s oldest cruise line and Southampton the longest-established cruise port. In the years that followed the company introduced round trips to destinations such as Alexandria and Constantinople (Istanbul). P&O underwent rapid expansion in the later half of the 19th century, with its ships becoming larger and more luxurious. 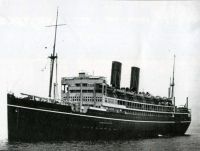 Notable of the era include the SS Ravenna built in 1880, which became the first ship to be built with a total steel superstructure, and the SS Valetta of 1889, another first – this time electric lights. In 1904 the company advertised its first cruise on the 6,000-ton Vectis, a ship specially fitted out for the purpose of carrying 150 First Class passengers. Ten years later it merged with the British India Steam Navigation Company, leaving the fleet with a total of 197 ships. Seventeen vessels were lost in WWI. In December 1918, P&O purchased 51% of the Orient Steam Navigation Company. 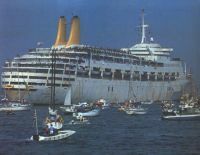 Orient Lines, as part of P&O, was to become synonymous with the Australian run, with today’s Oriana a reminder of those days. During 1929, P&O offered 15 cruises, some aboard Viceroy of India, the company’s first turbo-electric ship. World War II passed with the loss of 156 ships including popular liners such as Viceroy of India, Cathay, Oronsay and Orcades. By the late 1940s commercial aviation was beginning to take hold of the travel industry. Newer ships became larger and faster, allowing the sailing time to Australia to be cut from five to four weeks. In 1955 P&O and Orient Lines Ltd ordered what were to be their last passenger liners – the Canberra and Oriana. These fast ships bought the Australian run down another week to just three, with Oriana recording a top speed of just over 30 knots during trials. 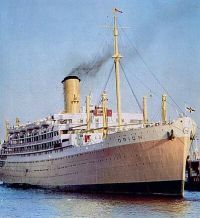 During 1961, P&O purchased the remaining stake in Orient Lines and renamed its passenger operations as P&O-Orient Lines. The decreasing popularity of liner voyages during the 1960s and 1970s meant that cruising became an important deployment for these ships in-between voyages to the Far East and Australasia. The 1970s was a grim time for the passenger lines and many relatively young ships were sold for scrap. Princess Cruises was acquired in 1974 to tackle the American cruise market which allowed the almost new Spirit of London to be transferred to the Princess fleet. This left Canberra and Oriana to serve the UK market on their own, with Arcadia deployed in Australia and Uganda offering educational cruises. In 1977, P&O re-branded its passenger division, creating P&O Cruises and P&O Cruises Australia. During the Falklands war Canberra and Uganda were commandeered by the British Government and performed heroically. Whilst refurbished after its sojourn in the South Atlantic, and very popular with passengers by this time, Canberra was a tired outdated ship. Arguably the first of the modern cruise liners, and built for the British market, the current Oriana was delivered in 1995. Canberra ran alongside her for two years until she was scrapped in 1997. In April 2000 Aurora, a half-sister ship to Oriana entered service for P&O. Although externally similar, internally she is much different. She also has a larger gross tonnage, partly due to the fact that she has a retractable roof over the amidships swimming pool. In February 2000, it was announced that all cruise ship operations, including P&O Cruises, were to be de-merged from the P&O group, forming a new independent company, P&O Princess Cruises. In 2003 P&O Cruises became part of Carnival Corporation, whose ownership includes Cunard, another company steeped in seagoing history, first registered in 1879. Her Royal Highness The Princess Royal will visit Southampton on the Tuesday and join guests on Oriana, the ship named by HM The Queen at its launch in 1995. Following a reception, she will join the Trinity House ship Patricia to conduct the Fleet Review in her capacity as Master of the Corporation. Each of the seven ships in the P&O Cruises fleet will leave their berths in Southampton in order and process down Southampton Water into the Solent passing Patricia at Charlie Anchorage saluting HRH The Princess Royal. How does a major cruise line cope with a large-scale medical emergency? The following is first-hand experience of just such a crisis that was overcome prior to and during a two-week cruise, repositioning from a Mediterranean port to the Caribbean. Like lifeboat drill, the famous cruise company had anticipated and rehearsed not only the occurrence but also the necessary actions and precautions, and had sufficient stockpiles of chemicals on board to take care of all requirements. Before we arrived for boarding, the previous cruise had visited a number of countries in the eastern Mediterranean. Unfortunately, in spite of the usual warnings and precautions, at least one person, and perhaps many more, had consumed contaminated food or drink whilst ashore. Eventually more than 200 passengers (around 20% of their complement, though apparently none of the 1,000-plus crew – a sign of good company training) developed gastro-intestinal problems. After appropriate quarantine and compensation for the unfortunate victims, the next cruise (ours!) was due to last a fortnight and called for truly extraordinary precautions if any recurrence were to be prevented. Gastro-enteritis and its variants, most notably the dreaded Norovirus, is the most worrisome of all contagious shipboard infections. It can be spread by the gentlest touch on a surface previously contacted by a sufferer or unwitting carrier. I was filled with admiration for the well-rehearsed organisation that swung into action, helped by the impressive one-to-two ratio of crew to passengers and the few days’ notice given to port officials. After the previous cohort of voyagers had been cleared, our boarding was subject to about three hours’ delay, for which extra seating was rushed in and free refreshments provided. In that time, virtually every area, item, handle, rail or surface on the ship that might conceivably be touched by human skin was cleansed, sanitised, disinfected and fumigated. The clothing worn by operatives might easily have been appropriate for chemical or germ warfare, but this was indeed very close to the problem. Such a rigorous operation was impossible until the ship had been completely cleared at cruise end. In an interview for BTN a few days later, the ship’s senior doctor told me that the proprietary ‘magic-potion’ disinfectant sprays, based mainly on the oxidising agent hydrogen peroxide, included Oxyvir Five 16, Vital Oxide and Bio-Global. The only public room to be missed, at least in part, was the ship’s library, where it was clearly impossible to treat every page of every book. The library remained closed for this reason throughout the voyage (to the muted cheers of recent Kindle purchasers) and may have remained so for an even longer time. When it finally came to boarding, it was impossible even to reach the gangway without at least three bouts of personal hand-sanitising. The special precautions were maintained throughout subsequent port visits and a transatlantic crossing. With seven days’ isolation at sea, there would be little or no chance of putting epidemic victims ashore. I’d guess that, outside their stateroom, the average passenger would have undergone a dozen or more further bouts of hand-washing and similar acts of personal hygiene each subsequent day. 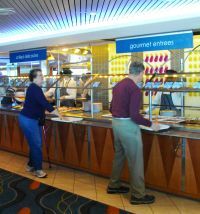 Most noticeably, after negotiating the sanitising entrance gauntlet at each eatery, all help-yourself food and drink, including every section of the large buffet restaurant, became counter service only (see pic). Only crew members wearing protective hand coverings were permitted to take and dispense food from the attractive displays. The hotel manager told me later that this change saved around 20% of food that would otherwise have been wasted or over-consumed by traditionally greedy cruisers. Self-service water, coffee and soft-drink dispensers were also roped off and operated only by staff. Furthermore, within seconds of a restaurant table being vacated, it was temporarily “Closed for sanitising” by pre-printed label and pounced upon by a crew member armed with cloth and cleansing spray. Similarly, at any time of day or night, crew members could be found in corridors, lifts and stairwells, spraying and wiping handles, handrails and operating buttons. Unsurprisingly, anyone with the tiniest suspect symptom was implored to visit the medical centre immediately for treatment. This was, perhaps, the most striking indicator of the potential contagion’s importance. On board a cruise ship, any visit to the medical centre, normally hidden in (appropriately!) the bowels of the ship, can be eye-wateringly expensive, but on this occasion, for the investigation or treatment of ‘tummy trouble’ all such costs were waived. As one of the paying passengers, I was greatly impressed by this marathon of hygiene and sanitation. But the ship’s officers’ exemplary actions and reactions should and would have increased any traveller’s trust and confidence in the cruise company. In two weeks’ voyaging, there was not a single case of contagious gastro trouble.